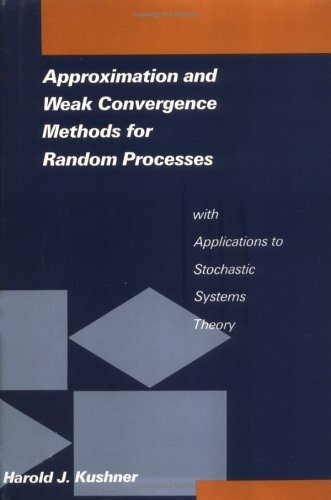 [PDF] Approximation and Weak Convergence Methods for Random Processes with Applications to Stochastic Systems Theory (Signal Processing, Optimization, and Control) | Free eBooks Download - EBOOKEE! Description: Control and communications engineers, physicists, and probability theorists, among others, will find this book unique. It contains a detailed development of approximation and limit theorems and methods for random processes and applies them to numerous problems of practical importance. In particular, it develops usable and broad conditions and techniques for showing that a sequence of processes converges to a Markov diffusion or jump process. This is useful when the natural physical model is quite complex, in which case a simpler approximation (a diffusion process, for example) is usually made. The book simplifies and extends some important older methods and develops some powerful new ones applicable to a wide variety of limit and approximation problems. The theory of weak convergence of probability measures is introduced along with general and usable methods (for example, perturbed test function, martingale, and direct averaging) for proving tightness and weak convergence. Kushner's study begins with a systematic development of the method. It then treats dynamical system models that have state-dependent noise or nonsmooth dynamics. Perturbed Liapunov function methods are developed for stability studies of non-Markovian problems and for the study of asymptotic distributions of non-Markovian systems. Three chapters are devoted to applications in control and communication theory (for example, phase-locked loops and adoptive filters). Small-noise problems and an introduction to the theory of large deviations and applications conclude the book. No comments for "[PDF] Approximation and Weak Convergence Methods for Random Processes with Applications to Stochastic Systems Theory (Signal Processing, Optimization, and Control)".